Naturno / Naturns is proud of its rich history, which has shaped the region and people, making them what they are today. Join us on a journey into the past. Discover pretty churches, old castle ruins, mystical walls and fascinating artistic exhibits. Embark on romantic hikes to magical places and excursions into former times. Through winding alleys and crossing charming bridges – and experiencing the 6000-year history of Naturno / Naturns up close. 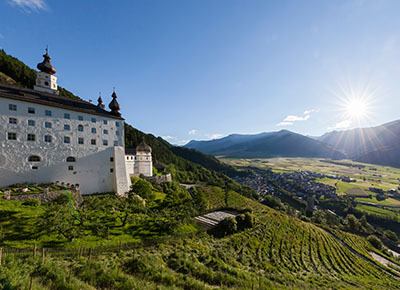 Culture in South Tyrol - as diverse as the region itself. St. Prokulus – small church with a great history. The interior of this small church, dating back to the seventh century, houses the oldest frescoes found to date in the pan-German region. In addition to the wall paintings from the 8th century, the Gothic frescoes from the 14th century are also worth seeing. The story of creation is depicted on the external southern-facing wall. The detached Gothic frescoes, which were found above the pre-Carolingian wall paintings, can be found in the Prokulus Museum. Originally built by Hugo von Montalban in 1278, the castle was left to deteriorate for around a hundred years until it was purchased and renovated in 1913 by Dutch colonial master William Rowland. 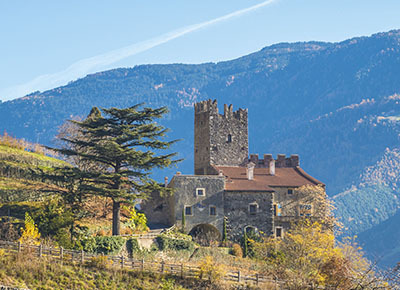 Reinhold Messner has been lord of the castle since the early 1980s, not only making his home there, but also establishing the Messner Mountain Museum - an art collection with exhibits from all continents, an organic farmstead and a vineyard. 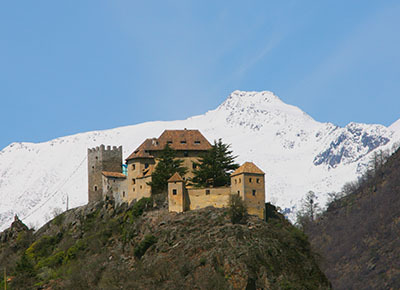 Juval Castle today enjoys a unique overall concept, dedicated to various efforts to preserve and revitalise the South Tyrolean cultural landscape. The sheer size of the Texel Group is revealed in such a small space in the Nature Park visitor centre in Naturno / Naturns. The nature of the Texel Group is brought to life by means of wall panels, charts, rock samples, preserved animals and biotopes. Visitors will also be informed about the many special features of the nature park, the diverse climatic zones and the unforgettable geology here. Image and text material, as well as video films, exhibitions, smelling displays, insect and fauna collections showcase the nature park on the doorstep of Naturno / Naturns – and set the mood for a hike into the heart of the largest nature park in South Tyrol. Hoch Naturno / Naturns Castle is the local landmark. The abundance of medieval furniture and paintings, the coffered ceilings and panelling, the paintings, tiled stoves and the many interesting furnishings in the countless stately rooms are of a significant historical importance. The architects of the castle were ministerials of the Counts of Tyrol. The castle has been privately owned by the Mastropaolo family since 1952, who ran it as a country house hotel for quite some time (until 1992). No visits possible. Experienced mountaineers can visit where the famous Ice Man was discovered on the Similaun Glacier while on a glacier hike. 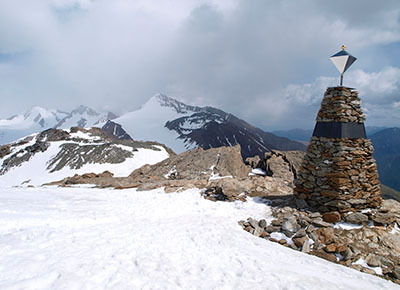 Trained mountain guides will take you safely over the Hochjochferner to the Tisenjoch (3,210 m), where Ötzi was discovered. 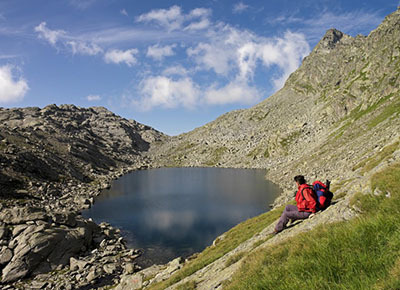 Breathtaking views of the fascinating mountain landscape of the Ötztal Alps and Dolomites make this hike one of the most memorable mountain experiences. You make the descent through the Tisen Valley towards Vernagt am See (1,700 m). Being in a good physical condition, sure-footedness and a head for heights are essential. Total walking time: approx. 7-8 hours. Ötzi and his belongings are brought back to life in the Val Senales archeoParc. The excellent participation-friendly, open-air museum is situated at a height of 1,500 m above sea level in the village of Unser Frau in the Val Senales, approx. 20 minutes away from Naturno / Naturns by car. 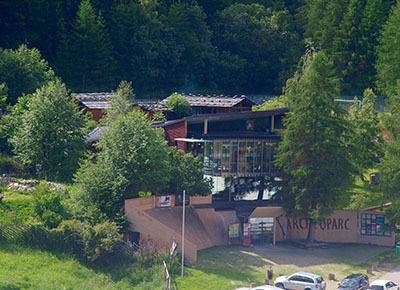 The past as Ötzi knew it is brought back to life vividly in this archaeology park with outdoor area. 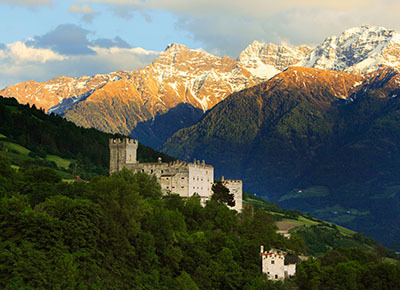 The Churburg is situated in Schluderns in the Venosta Valley / Vinschgau and is one of the best preserved castles in South Tyrol with the largest private armoury and a fairy-tale-like arcade. The armoury contains more than 50 customised pieces of armour of the castle owners with sought-after artistic decoration. The arcade is the artistic centre of the Churburg, featuring impressive wall paintings from the world of fables alongside arches and marble columns. Life in Marienberg Monastery has followed the conventions of Saint Benedict for more than 900 years now. It is a place of rest and strength, work and prayer. The old walls were cleaned and consolidated, largely left in their original state and a second modern level added during the renovation of the former domestic wing. You are now able to clearly identify the structural changes from the 13th century to the present day. The museum, opened in 2007, can be found on the ground floor. A film and various articles provide an insight into the everyday life behind the walls of the monastery with some works of art from the Wilhelminian period on display for the public for the first time. Laas marble – the renaissance of an extraordinary rock. 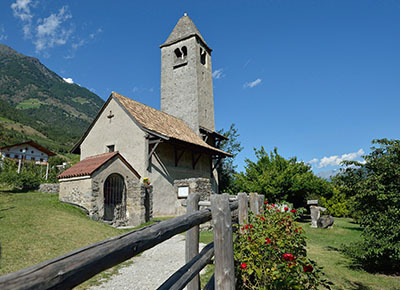 The village of Laas in the Venosta Valley / Vinschgau is also referred to as the marble centre of South Tyrol. Since it is here that an impressive marble massif rises above the north-east flank of the Ortler Group. The three quarries: Jennwand-, Weißwasser- and Mitterwandl-Bruch are also located here, from which the noble building material is obtained. The total amount of marble deposits of the so-called Laas entity is estimated to be around 500 million cubic metres and is characterised by being especially compact and free of cracks. However, Laas is not only the centre of marble extraction, it is also increasingly developing into a hotspot for marble processing. 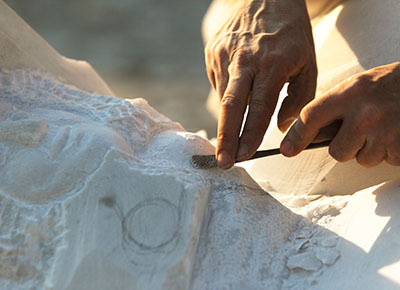 A stone-working qualification obtained at the specialist school here allows the holder to practise in the art of stone masonry, thus providing a springboard for prospective sculptors.